About Prime Minister Narendra Modi's biopic. PM Narendra Modi Biopic was to be released on April 12, the first phase of poll was on 11th April. Prime Minister Narendra Modi's biopic 'PM Narendra Modi''s release date has changed. The film was about to be released on April 12. Now it is being done more quickly. It is being released a week ago i.e. April 5. It is obviously being done to exploit the electoral atmosphere. This release will also benefit the producers and the promotion of Narendra Modi will also be strengthened. Earlier this film was being released after the start of the voting phase. The first phase of polling on April 11. Now it will come before the voting stages. Recently, its second poster was due to be released on March 18, but this event was postponed due to the demise of Goa's Manohar Parrikar. Today Makers has released another poster. Vivek is surrounded by children. Yesterday, some look of Modi made Vivek Oberoi was released. Vivek is seen in nine types of style. The promotion has been running for almost two months. Recently, there has been a continuation of the introduction of its characters. The news of a scene also came in the past. On Sunday, director Omang Kumar filmed a scene of Godhra attack on Sunday, in which a coach of the train was burnt to ashes. During this incident, Narendra Modi was the Chief Minister of Gujarat. Western Railway has helped the team by filming this scene. It was shot on the Narrow Gauge line of Vishwamitra railway station. The inner part of this scene of Sabarmati Express is being shot separately in Mumbai. A few days ago, Boman Irani was introduced to the character. In this film, Bowman got the role of 'Ratan Tata'. In the pictures released, they are seen traveling in a private jet. Earlier it was introduced to the character of an industrialist. Prashant Narayanan is doing this role. The producers have said about this role that it is a negative character and is the largest businessman in the country. Let me tell you that many characters have been there for the last ten days. Zarina Wahab is playing the role of Modi's mother Hiraben Modi. Zarina said that she is proud that she is playing the role of Modi's mother. He considered this as the most special role of his life. Earlier Amit Shah's roll was announced, it was Manoj Joshi. 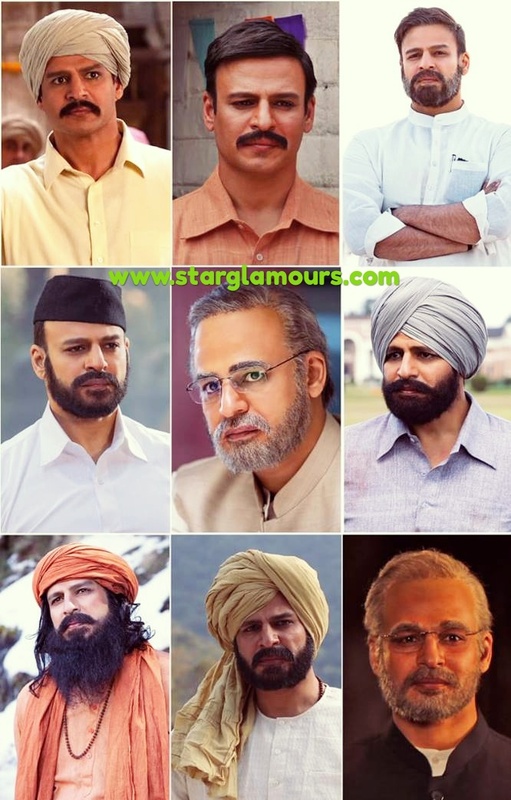 In the film, Vivek Oberoi plays the role of PM Modi. People like Modi look very much like Vivek. But there is a character in the film whose people were eagerly waiting. The name of that particular character has been revealed. The special character is Prime Minister Narendra Modi's wife Jasodaben. Let me tell you, the actress Barkha Bisht has been cast for this role in Modi's biopic. Let's say, Actress Barkha Bisht is a TV artist. Barkha candidly discussed his role in the film. When I was approached about this role, I was very happy. I am very proud to join this film. I have started studying about Jasodaben by gathering the source here and there. This role is quite challenging for me because only few people know about Jasodaben. I have to learn to speak in a Gujarati way to make life in this role and to make it effective. In this character you will find many shades.